Australia has the distinction of being the first travel guide we write that’s not just for a country, but a whole continent. The land of koalas, giant beers, Outback jeep treks, and world-class surfing is a must-travel destination for anyone with an adventurous itch. Travel Australia and see a whole new hemisphere, and a whole new way of life. The big cities, like Sydney and Melbourne, are cultural hubs that are chock full of incredible restaurants, arts and culture, and welcoming Aussies. Venture out to the coast and you’ll find yourself on legendary beaches with some of the best surfing in the world. Venture inland to the outback and find yourself in a unique wilderness that has everything from forests to deserts. Use our Australia Travel Guide, and some travel tips for Australia. Travel in Australia will teach you a lot about English. Although they definitely throw their own twist on every single word they speak, Australians are speaking English. Australian English is so unique they even have their own wikipedia page for how it arose from your run-of-the-mill English. Use context clues to piece together the slang (Straya = Australia, bogan = redneck, mozzie = mosquito, you’ll figure it out) and remember that cursing is a sign of endearment down under. 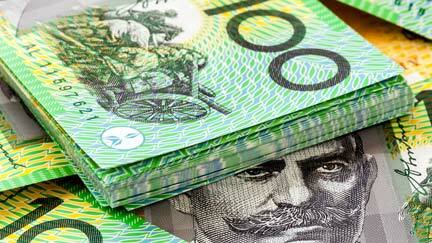 Aussies use the Australian dollar, so there’s no brain-busters here. And, it’s fairly close to the the US dollar, $0.77 in AUD is $1 in USD (subject to change, of course). Australia is like the US too in the way that most places accept credit cards. Alert your credit card company before you take off, though. Nothing throws up a credit card fraud red flag like a charge popping up in Australia. Check with your bank before you travel Australia to see if your debit card will let you pull money out at an ATM. You’d be surprised at how unique Australian cuisine can be. You can try a ton of exotic and flavorful meats (hit up a steak house and try some medium-rare kangaroo) and get some of the freshest seafood in the world (the whole “shrimp on the barbie” thing is no joke down there). For dessert, you need to try some Tim-Tam cookies and lamington cake, the “national cake of Australia.” Lastly, you need to try vegemite on toast at least once, just for the story. C’mon, we dare you. Australia has a different outlet style than the US does, so before you travel to Australia make sure you grab an outlet converter. Wifi hotspots are few and far between in this massive country, too. It might be worth it to rent a mobile wifi hotspot if you’re going to be using your laptop on the go. Hotels will have wifi, but surprisingly a lot of coffee shops and cafes won’t, so be ready to go on a wifi hunt if you’re trying to not use your cellphone data. 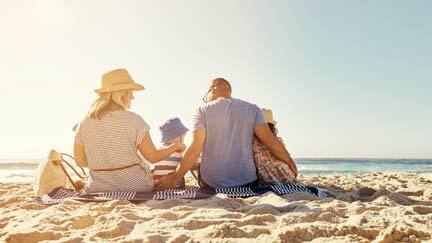 On your trip to Australia, you’ll find the biggest difference between the US and Oz is that Australians seem like they’re permanently on vacation. Everything is at a relaxed pace, and people seem to just want to take it easy. For a high-strung American used to getting in and out of somewhere in seconds flat, this can be a bit of an adjustment. Once you’ve adapted to the calmer pace of Australia, though, you’ll find yourself wondering what you were ever so stressed out about. Australia is on the other side of the world, so we’ll try to get the confusing part out of the way right off the bat; the seasons there are the opposite of ours here. So, that means when you visit Australia, December to February is summer, March to May is autumn, June to August is winter, and September to November is spring. The northern part of the country tends to stay warm all the time, while the southern end of the continent has a full range of seasons. We could write a whole guide just about what temperature and precipitation is like across Australia at different times of the year, but we don’t have that kind of real estate in these travel guides. Make your Australian adventure in winter or spring (their summer and fall) and you’ll be warm and comfortable. Is it safe to travel to Australia? Australia is bigger than the continental United States. It. Is. Huge. While planning your trip to Australia, keep this in mind. It’s not that easy to drive from one side to the other, because the center chunk is dominated by the outback where there is nothing but desert. This natural wonder is the world’s largest coral reef system, an incredible ecosystem right below the surface of the water. If you’re near the Queensland coast, the Coral Sea is a must-visit for snorkeling, scuba diving, beach lounging and boat cruising. Queensland is also home to the lush, rich jungle of the Atherton Tablelands, which is home to Millaa Millaa Falls. Here you can take the plunge under the roaring falls. 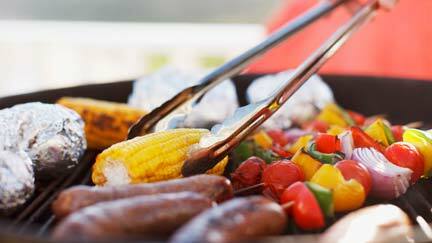 It can get crowded on hot days, though, so be ready to deal with a little bit of a crowd. In Dubbo, New South Wales, you can find one of the best zoos on earth. They make their enclosures as natural as possible while getting guests close to the animals. It might seem like a touristy thing to do on your Australian adventure, but trust us. More info on Taronga Zoo here. You’ll see a ton of beautiful beaches during your trip to Australia, but Watson’s Bay might be the best. Lounge on the beach or hike up to the Gap, where Sydney Bay meets the South Pacific. Time your ferry ride back to Sydney with the sunset. In New South Wales, the Blue Mountains run along the coast, a fantastical rocky landscape shrouded in a haze of mist caused by all the eucalyptus trees. This is an outdoor adventure paradise; explore the Jenolan Caves or the Giant Staircase nature walks. Tassie deserves it’s own travel guide, but we’ll give you a teaser. It’s an hour hop over from Sydney on a plane. Hobart, its big city, is crammed with small-town charm and great restaurants. Forest bike tours and ocean cruises are a necessity to see every side of this wild island. There are a lot of places to visit in Australia, and a lot of it seems like either golden beaches or rugged outback. But there is something special about Australian cities. The architecture is a blend of old world and cutting-edge modern. A lot of them wrap gracefully along the coast, giving city-dwellers impressive ocean views. Urban Australia is hard to beat. Sydney has everything you’d want from a city, and more. Climb to the top of the Sydney Harbor Bridge and get an unreal view of the city. 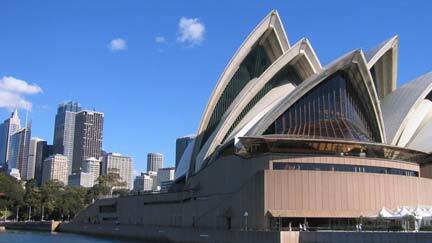 Take in a show at the iconic Sydney Opera House where they have something for everyone. 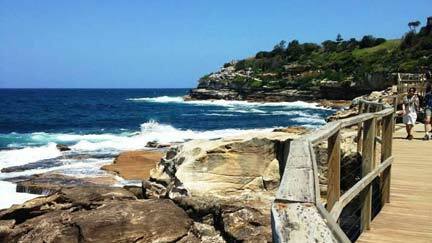 Snorkel at Bondi beach, or take the picturesque ferry ride over to Manly beach. 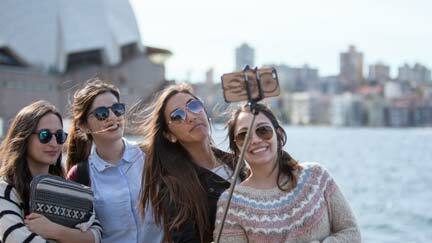 Check out our Sydney guide here. Melbourne is the second most populated city in Australia. Here, you can catch a football (that’s the right word for soccer, Americans) match at the Melbourne Cricket Grounds, visit the Eureka Sky Deck for a mind-blowing view of the sunset, then hit Chapel Street for food and drinks at night. The trams make this an incredibly easy city to get around in. Brisbane (pronounced Brizz-bin) is a quieter city with an open feel, and has a lot of green spaces. Explore the South Bank area for cafes, ethnic restaurants, and a riverside boardwalk. Hit up the West End nearby for off-beat bookstores and organic produce. For some up-close-and-personal koala bear cuddling time, visit the Lone Pine Koala Sanctuary. Your Australia trip should include Perth. It’s the most isolated city that has over a million inhabitants, and is set on the serene Swan River. Perth has a laid back atmosphere, even for the already chilled out Australia. 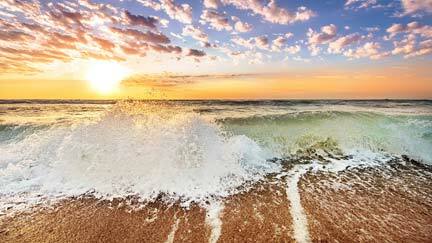 Swim the beaches, cycle the city, and take a day trip up into Swan Valley for a wine-tasting. Check out our Perth guide here. This city an hour south of Brisbane is known for Surfer’s Paradise, a district that stretches along mile of surf beaches and packed with bars, surf shops, theme parks, water parks, fishing, boating, and of course surfing. This place has some of the most legendary surf breaks in all of Australia, and Australia has some of the best surfing in the world. Get the answers to all of your questions before your trip down under. With the help of StudentUniverse blog posts, students can learn things to do and what to eat while in Australia and New Zealand. Australians are by far the most internationally well-traveled people. This is because it’s literally cheaper for them to travel overseas for holiday than in their own country. 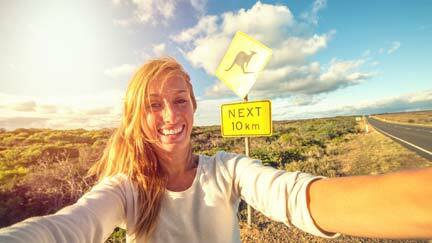 Every year travelers from all over the world come to Australia to fulfill dreams and exceed expectations during a gap year, career break, working holiday, or to study abroad. The Outback is truly a wild expanse. The inner core of Australia, the outback is rugged terrain filled with scrubby plants, hot sun, wild animals, and ancient rock formations. Taking it on is a wilderness adventure, and many people plan outback treks in campers, jeeps, or motorcycles. The hard work of getting through it is rewarded with some of the most fantastic, isolated sights on earth. Trek yourself, don’t wreck yourself. And by that we mean; if you’re going to rent a jeep and do an outback trek yourself, do research. The outback is no joke, and what starts out as a drive through incredible landscapes can quickly turn into a survival situation. Fuel up at every gas station. Have a few days worth of water with you, just incase. Stay smart, stay safe. Or tour with a company. If the outback is calling to you, but you’re worried you might be eaten by a crocodile after the first hour, sign up with one of the great touring companies that guide people across the great expanse of the outback. These trips come in all sorts of styles, from jeep excursions to motorbike treks where you drive all day and camp at night. These guides know the land and know the vehicles, and take a lot of the pressure off you. The outback is the adventurer’s adventure. Beach bums and people who can’t sleep without AC blasting need not apply. You’re going to be roughing it in the coolest ways imaginable, and stopping off at tiny local towns for a pint every few days after long, dusty treks through a country that might as well be Mars.